"A story about family, first love, second chances and the moment in life that lead you back home." In this romantic drama, a teen musician isn't happy that she has to leave NYC to spend the summer with her dad in a small southern town. Her attitude changes, however, when she meets a handsome local boy. 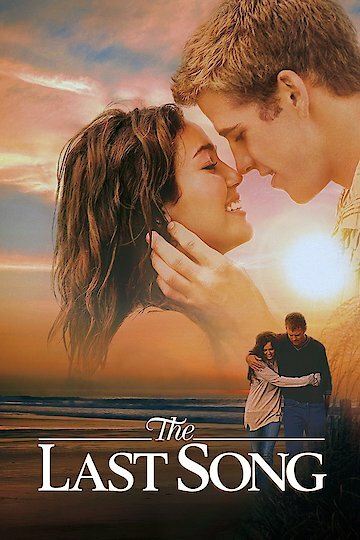 Miley Cyrus and Liam Hemsworth star in the film, which received overwhelmingly negative reviews. The Last Song is currently available to watch and stream, download, buy on demand at Starz, Amazon, Vudu, Google Play, iTunes, YouTube VOD online. Miley Cyrus chopped all of her hair off and dyed it platinum blonde, and now she's fielding complaints from fans on Twitter. So much so, in fact, that almost every tweet is a defense of her haircut.